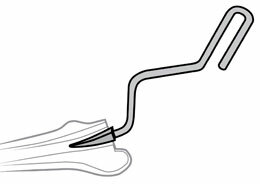 Quick-connect starter drill for use with a driver. 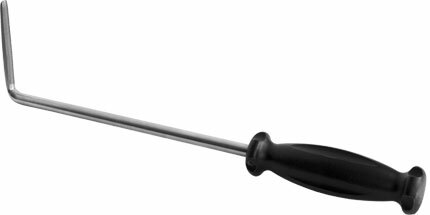 Helps to retract the TFL muscle out of the way, and provides surface area for the fulcrum effect, helping to reduce pressure on the muscle. 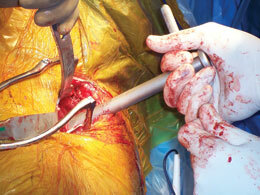 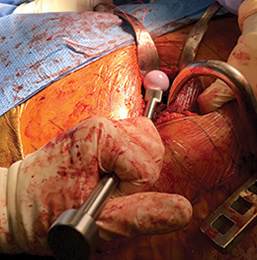 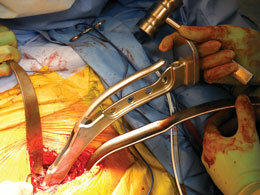 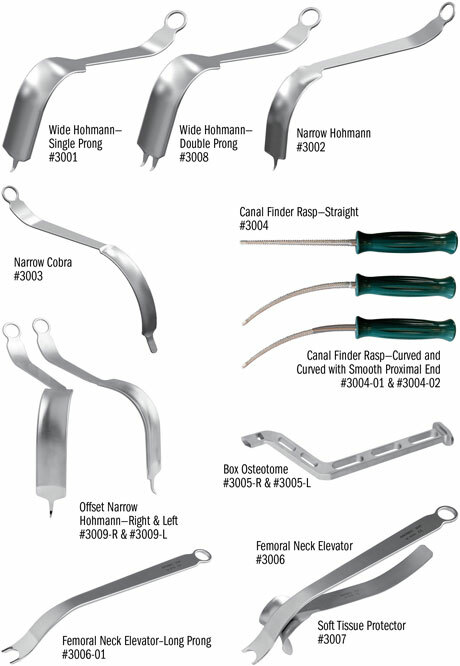 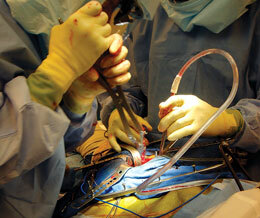 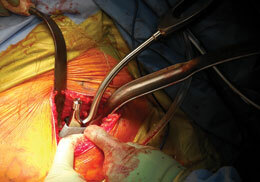 Narrow designs helpful in minimally invasive surgery. 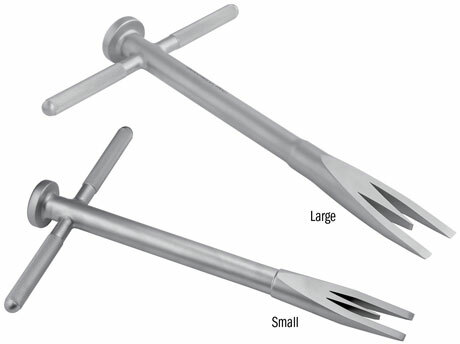 The flared end joins the prongs to help maintain soft tissue retraction away from the broach teeth, while the two prong design helps placement lateral to the tip of the greater trochanter and elevates the femur. 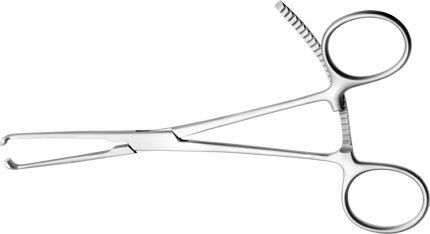 The OrthoLucent™ version is made of a strong, lightweight carbon fiber PEEK composite material, which is completely radiolucent, helps to prevent from marring component surfaces, and can be steam sterilized. 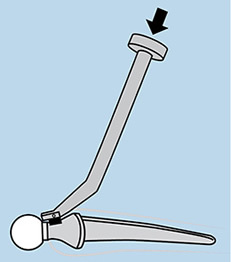 Lighted retractor can be attached to a fiber optic light cable with ACMI (female) connector. 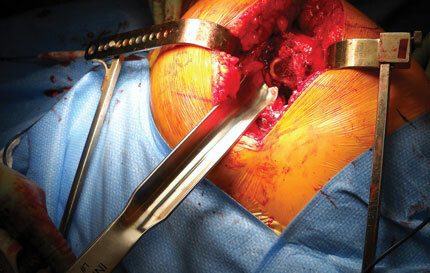 ANTERIOR APPROACH: Placed inferior to the trans-acetabular ligament during exposure and preparation of the acetabular component. 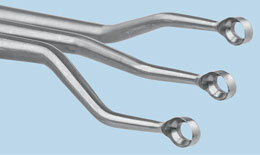 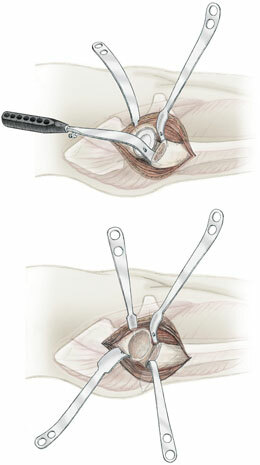 The curve and “twist” of the retractor allow for gentle retraction of the medial and inferior soft tissues and skin. 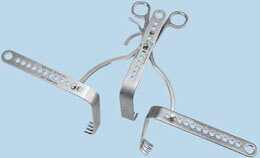 Helps provide easier retraction for the assistant on the other side of the operating table. 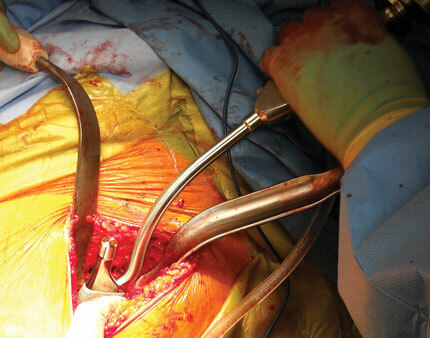 POSTERIOR APPROACH: Placed over the anterior acetabular wall for supero-anterior translation of the femoral head and neck during acetabular preparation. 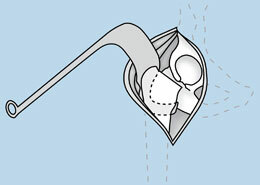 The prong(s) pierce the capsule over the anterior wall, then the curve and “twist” of the retractor allows for gentle retraction on the femoral neck. 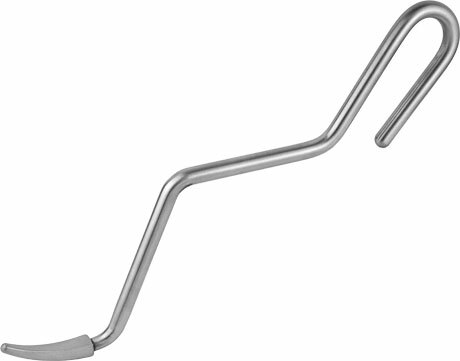 Folds to approx: 21" x 5" x 5"
Partial threaded pin can be used to help remove a femoral head during total hip surgery. 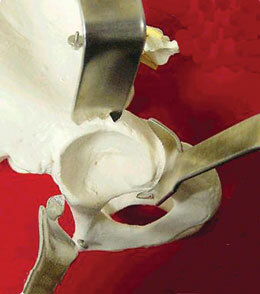 The pin is especially helpful in minimally invasive total hip surgery where access to the femoral head is limited. 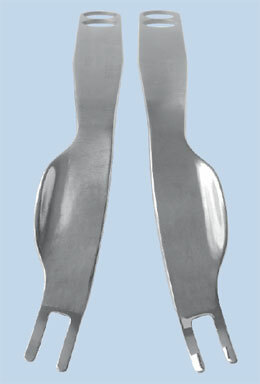 The pin is attached to a pin driver which clamps onto a Jacob chuck. 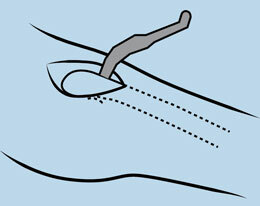 When the pin is drilled in place, the driver is easily removed from the pin, as the pin is held by a friction ring. 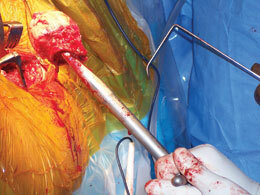 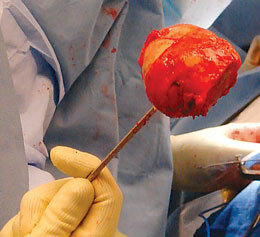 The head can be removed by gripping the pin by hand or by using a large pin inserter/extractor. 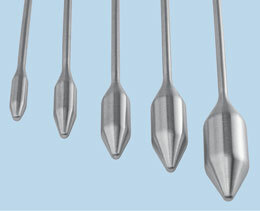 Pin diameter is 5/32” (4mm). 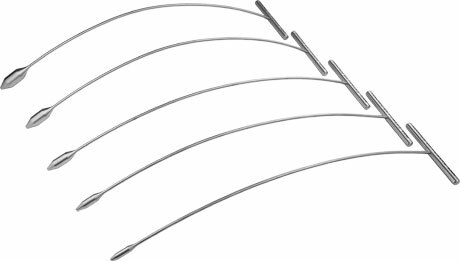 Quick-connect for use with a driver. 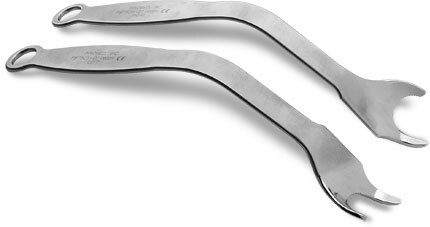 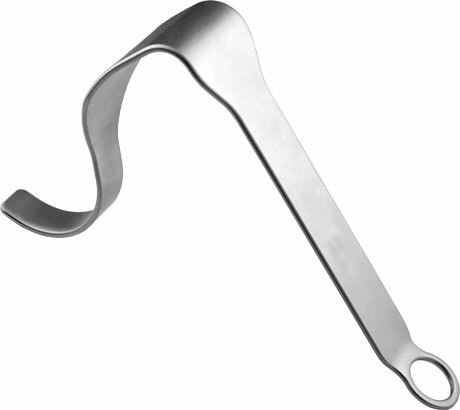 Used for dissection (to preserve)/or removal of the anterior capsule, removal of the labrum, or other soft tissue around the acetabulum prior to cup implantation. 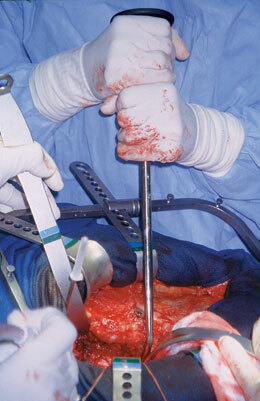 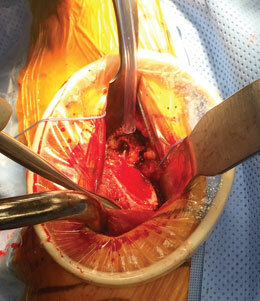 Also used to release the capsule to expose the femur for placement of the femoral stem. 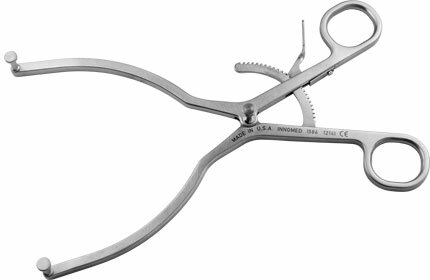 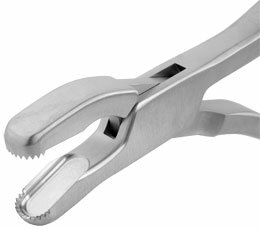 Long, low profile of the Long Jaw Grasper helps facilitate working through a small incision without disrupting vision. 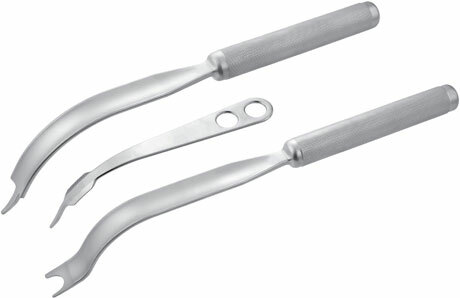 Non-locking design can be easily gripped while allowing greater pressure to be applied. 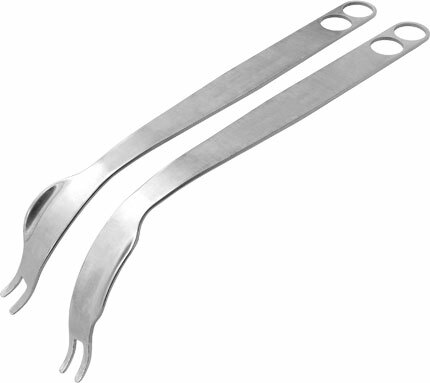 Available in three jaw sizes: short jaw for holding bone, medium jaw for smaller bones, and long jaw for tissue. 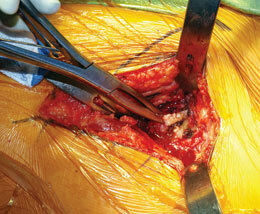 Used to retract the Tensor Fascia Lata and Rectus Femoris during the initial approach to the anterior hip capsule. 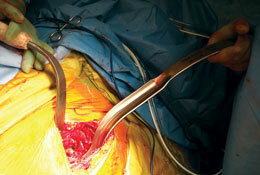 Helps expose the Lateral Circumflex vessels. 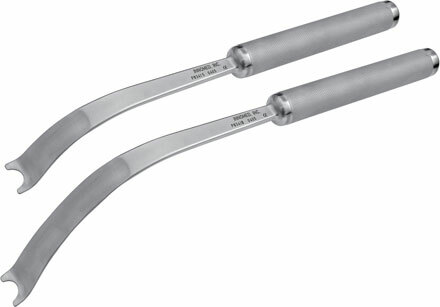 Overall Length: 10.75" • Handle Length: 9.75"
Overall Length: 8.75" • Handle Length: 8"
The modified Mueller-type design non-forked end helps reduce stress risers and fractures. 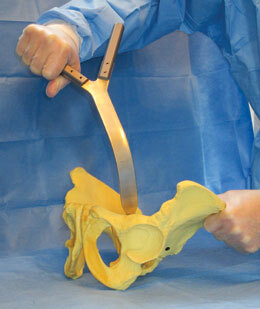 Excellent for use in acetabular exposure and total hip replacements. 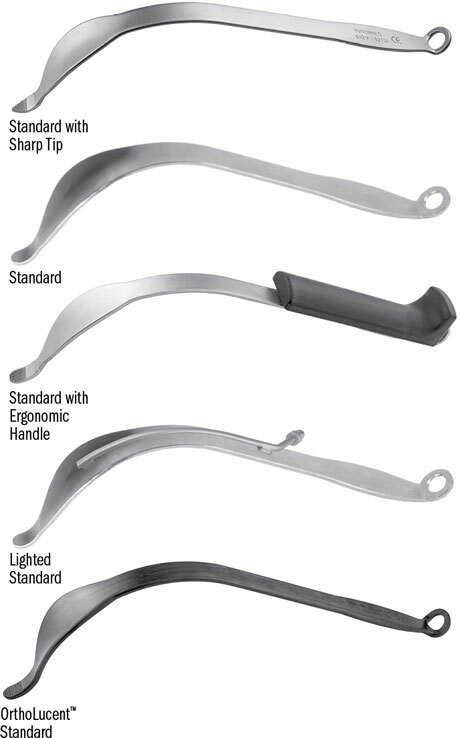 Especially useful for anterior approach. 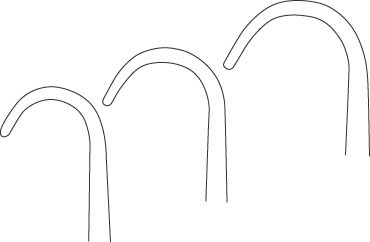 Attaches to a fiber optic light cable with ACMI (female) connector. 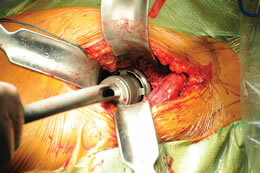 Used with or without a weight, it is placed over the TFL and vastus lateralis and under the femur. 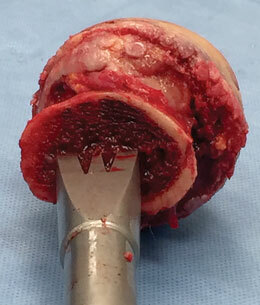 The broad surface helps to gently retract the TFL and vastus away from the reamer path. 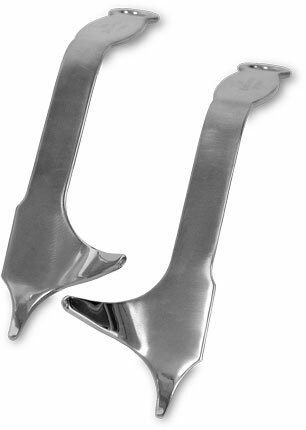 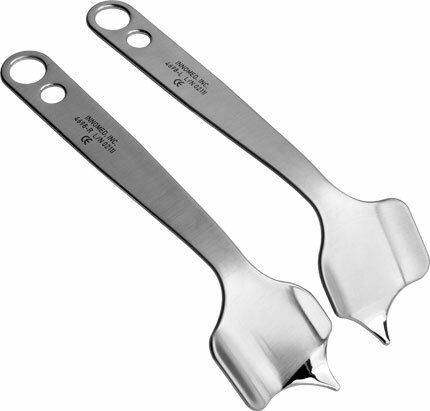 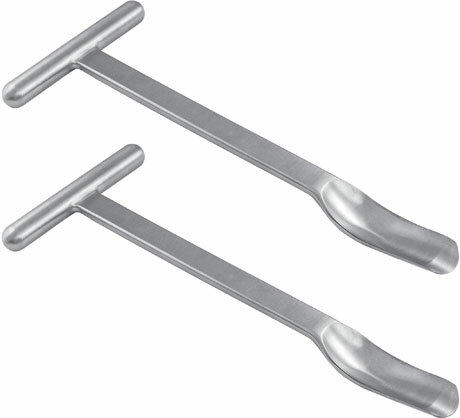 Can be used in MIS/Direct Anterior, Total Hip Arthroplasty, Posterior/Anterolateral THA, and Hemiarthroplasty. 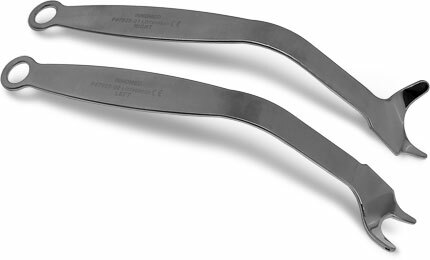 The posterior-inferior retractor is placed with the point at 6 o’ clock and the retractor’s axilla resting on the ischium. 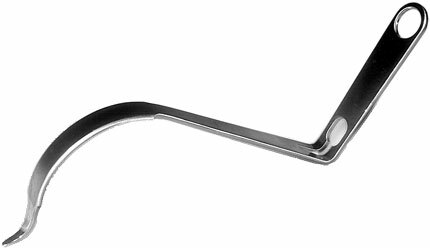 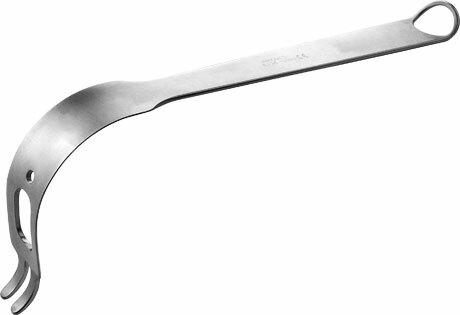 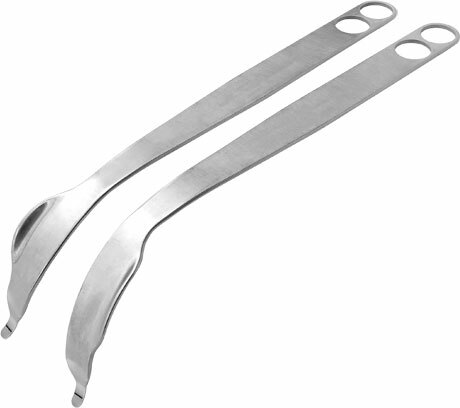 The remaining blade of this retractor is used to retract the remaining capsule from the posterior lip of the acetabulum. 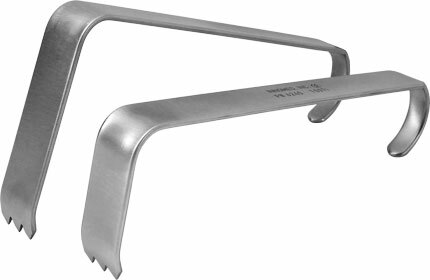 Handle only — blades not included. 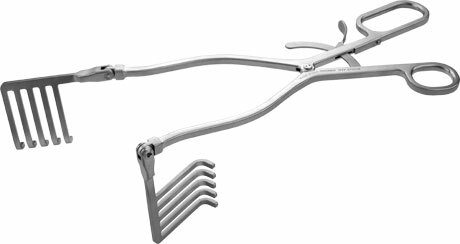 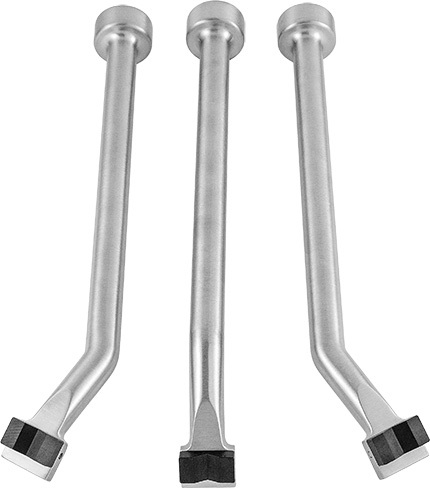 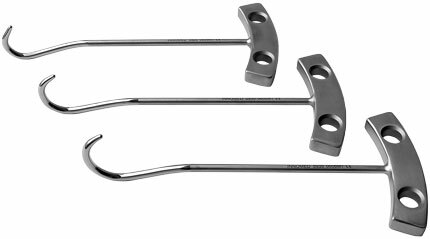 Retractor handles are designed for optional use with modular weights to help hold the retractors in place. 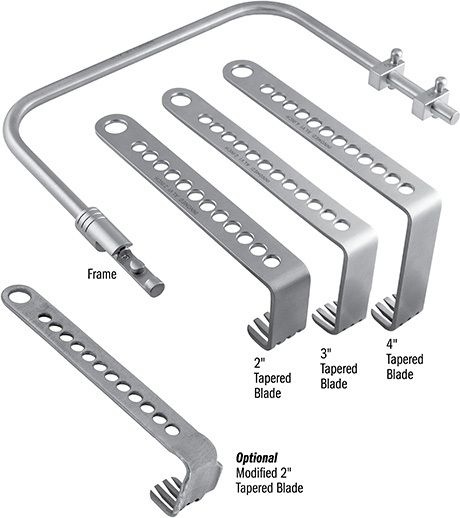 After the femur is prepared and the broach has been placed, the Sinha retractor is placed on the infero-lateral aspect of the acetabulum with the neck of the broach projecting through the large hole in the retractor blade. 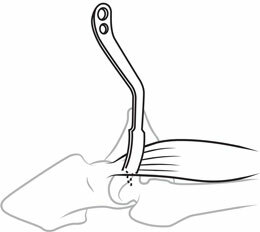 This serves to displace the femur posteriorly and to help protect the greater trochanter while acetabular reaming is conducted. 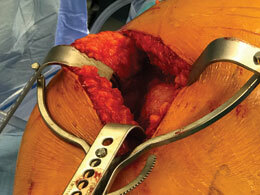 Placed around the femoral neck to expose the anterior hip capsule. 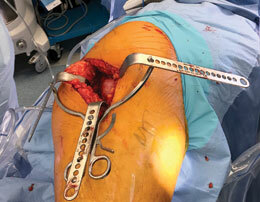 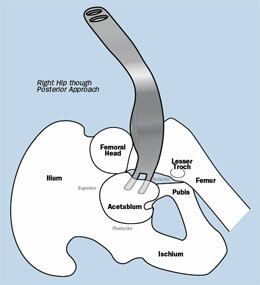 A curved sharp hohmann retractor placed under the posterior acetabulum to depress the femur and expose the acetabulum. 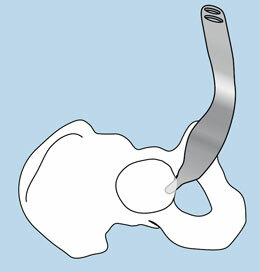 A ventral cobra retractor placed over the anterior acetabulum wall to pull the Rectus Femoris anteriorly. 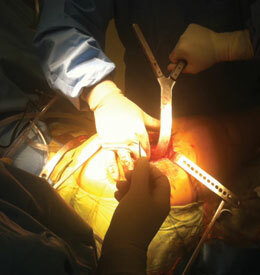 Placed medial to the femoral neck to push the femur laterally, helping to expose the femur for implant broaching and insertion. 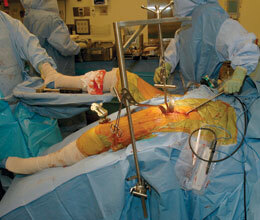 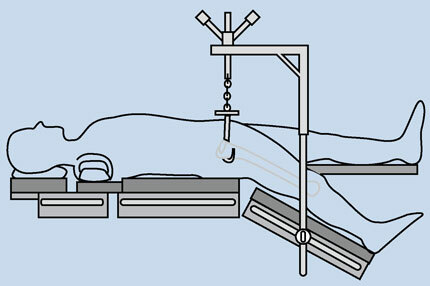 A femur elevator designed to interact with the Unger Soft Tissue Protector to expose the femur. 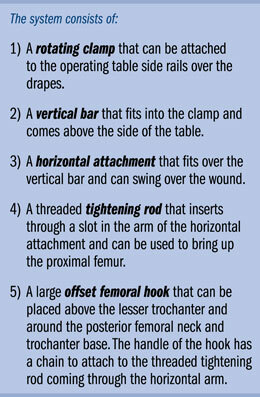 Placed behind the Greater Trochanter. 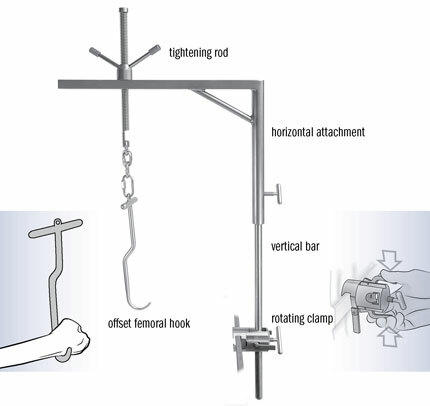 A unique device that protects the Tensor Fascia Lata and allows the femoral elevator to lever/push up the femur for femoral component broaching and placement. 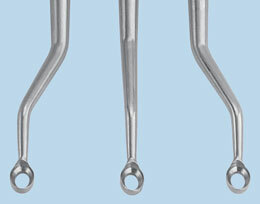 Inserted into the femoral canal for elevation, the knurled underside helps to reduce the chance of slippage.